Thank you for visiting the M&D Nashville website! M&D Lacrosse, started in 2001 in Ellicott City, Maryland, quickly became one of the most successful clubs in the country. M&D has won hundreds of club championships. Along the way, M&D has helped thousands of girls fulfill their dream of playing collegiate-level lacrosse for a variety of Division I, II, and III colleges and universities. The Maryland-based organization now has seventeen club teams with players coming from the Baltimore, MD and Washington, DC areas. We bring our national prominence to Nashville, TN to provide elementary, middle, and high school-aged girls in Middle Tennessee the ultimate lacrosse experience. M&D Nashville offers access to highly-accomplished and experienced coaches, world-class clinicians, college recruiting assistance, and the finest local, regional, and national competition. M&D Nashville goes beyond on-field play by offering a broader lacrosse training and education that fosters player development and increases player understanding of the game (lacrosse IQ). A thorough comprehension of the game enhances player performance and value to her team. While encouraging individual player development, M&D Nashville also emphasizes the importance of teamwork and friendships that last for years, on and off the field. In addition to top-level coaching, M&D Nashville helps prepare student-athletes to compete at the next level...collegiate. We offer college recruiting seminars to those who aspire to play at the collegiate level helping them navigate through the complex recruiting process and understand the "dos" and "don'ts" of college recruiting. We help put players in the best possible position to realize their dreams of playing in college. Knowledgeable coaches, quality competition, and player development enable M&D teams to consistently excel in premier lacrosse tournaments and recruiting events that showcase our players' talent. M&D Nashville, in its inaugural season, will field an elementary school-aged team (high school graduating class of 2026/27, and three middle school-aged teams (2025, 2024, and 2023) teams for the 2018/19 season. Teams will compete in local and regional tournaments. M&D Nashville teams practice two times per week during the summer months (June and July); one to two times per week during the fall months (September, October, and November); and one to two times per month during the spring months (March, April, and May). In addition to regularly scheduled practices, M&D Nashville offers instructional sessions by collegiate-level coaches and top players who instruct players on the latest skills, techniques, and strategies in women's lacrosse. Come see for yourself...M&D Nashville offers the complete player experience! Thank you for visiting the M&D Nashville web site. We hope to see you on the lacrosse field! 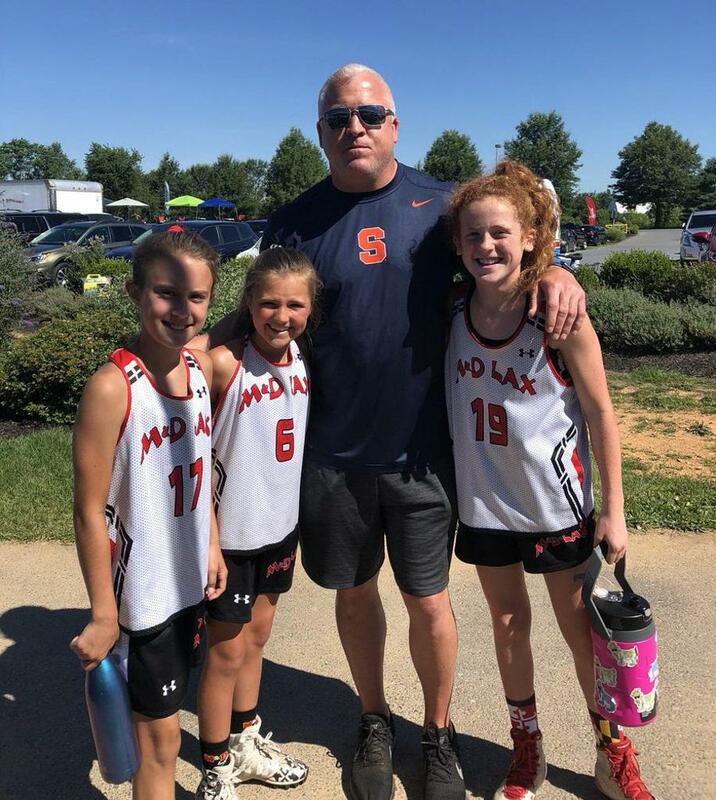 Syracuse Women's Coach Gary Gait spends some time counseling some of the M&D 2025 players prior to a championship game. ©2019 M&D Lacrosse Tennessee / SportsEngine. All Rights Reserved.